YCF Young Coptic Families - Family Getaway! 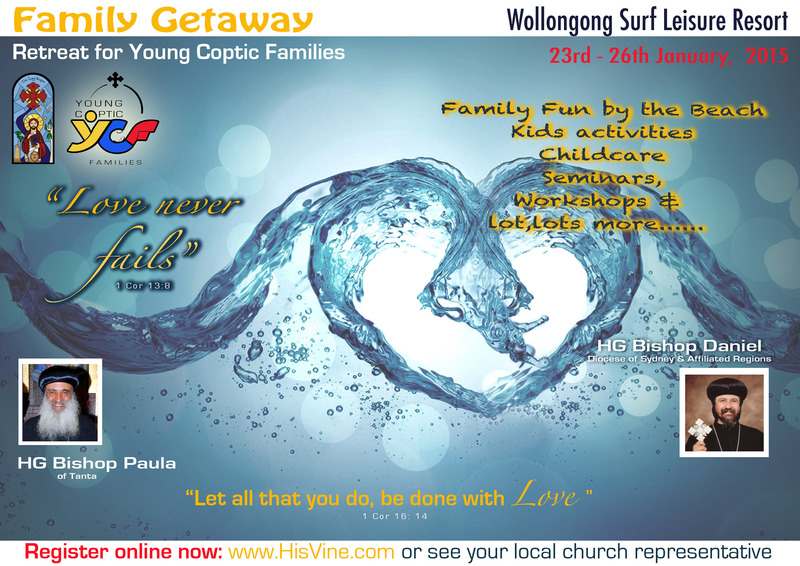 HG Bishop Paula will be the guest speaker at the 2015 Young Coptic Families ‘Family Getaway’. The weekend is a great opportunity to spend some relaxing and fun time with your family and also other similar families. • Parent with young children. • Interested to learn more about how to better your relationship with your spouse and your children. Payments: By Paypal or Direct deposit at time of registration. Cost: $90 per adult and children attend at no charge.